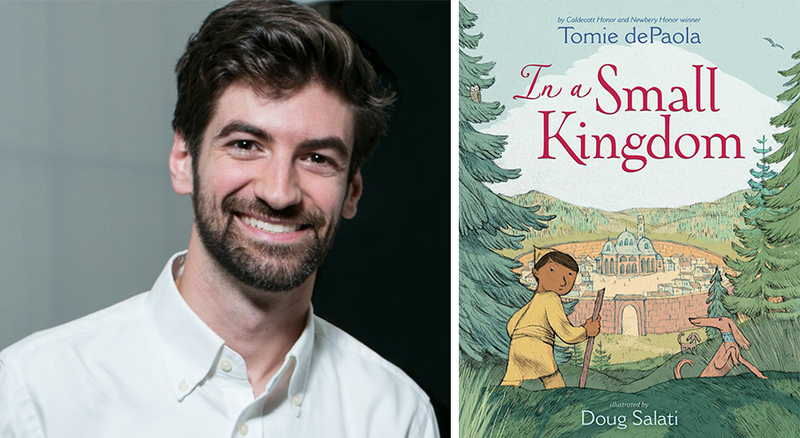 Doug Salati, illustrator of the book ‘In a Small Kingdom,’ will speak on Feb. 13 on the SUNY Adirondack campus. SUNY Adirondack will launch its Writers Project for the spring semester with an appearance by illustrator Doug Salati at 12:30 p.m. Feb. 13 in the Visual Arts Gallery in Dearlove Hall on the Queensbury campus. For more information on Doug Salati, go to the Writers Project webpage or www.dougsalati.com. An evening Psychology program will be offered in the fall at the college’s Wilton Center in Saratoga County. As part of the college’s commitment to serving adult learners in the community, SUNY Adirondack is adding an evening program for students interested in earning a Liberal Arts and Sciences degree with a Psychology concentration. The program will allow students to take classes only two nights a week, combined with online courses and instruction, at the college’s Wilton Center in Saratoga County. "The evening psychology program is designed for busy adults who are interested in furthering their education," said John Pennachio, chair of the Social Science division. "The two-night a week schedule was designed specifically for adults who are motivated to enhance their careers and their lives. Our Psychology concentration provides the courses necessary for professional and personal enrichment, as well as for transfer to a four-year psychology program." The evening program is meant to make college more accessible for people with traditional 9-to-5 jobs. “SUNY Adirondack's commitment to offering courses on only Tuesday and Thursday nights and online will hopefully provide an avenue for students to juggle their work and family commitments," said Rob Palmieri, vice president of Enrollment and Student Affairs. The college also is recruiting for its Accelerated Business Administration degree program, which enables students to earn an associate degree in as little as 16 months. The program also follows an evening schedule. Prospective students can contact Ryan Thomas, adult learning coordinator in the Admissions Office, at thomasr@sunyacc.edu or 518.743.2264. SUNY Adirondack Professor of Microbiology Holly Ahern works with a student on tick-related research on the college campus. SUNY Adirondack and Cornell Cooperative Extension of Warren County will hold two “Don’t Get Ticked” workshops in February to educate the public about the dangers of tick-borne diseases. 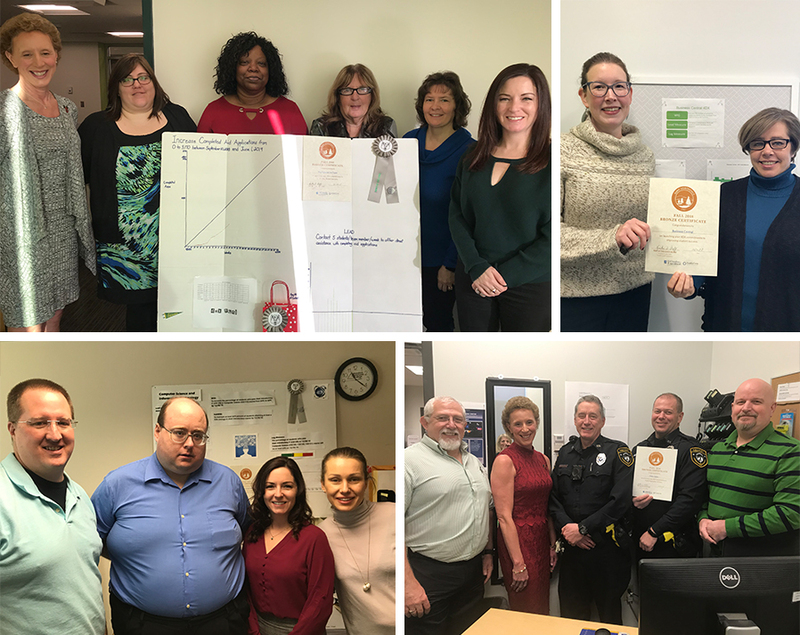 Programs are planned from 3:30 to 5:30 p.m. Feb. 15 at the 4-H training Center, 556 Middle Line Road in Ballston Spa and from 3 to 5 p.m. Feb. 22 at the Northwest Bay Conference Center on the SUNY Adirondack Campus in Queensbury. The programs are free, but pre-registration is required. To register, email Dan (djc69@cornell.edu), Chris (cd98@cornell.edu) or Michele (mlb222@cornell.edu) or call 518.668.4881. Seasoned restaurant is partnering with local food businesses for a series of themed dinners. SUNY Adirondack will partner with area food businesses to offer Collaborative Cuisine — a series of themed dinners highlighting local products — at Seasoned, the college’s student-run restaurant in downtown Glens Falls. Each meal will include a four-course menu, along with soft drinks, coffee and water. Alcohol will be available to purchase separately. During the dinners, guests will learn about the local products, how they are being used in their meals and have the opportunity to make purchases. The first dinner, featuring a menu inspired by Rachel’s Spice Company, will be held at 6 p.m. Feb. 15. Additional Collaborative Cuisine dinners include partnerships with Lake George Olive Oil Company on March 30 and Dragon Salt Works on April 12. Dinners have limited seating. The cost is $75 per person for each dinner, tips not included. Diners who make reservations for all three meals will save $25. 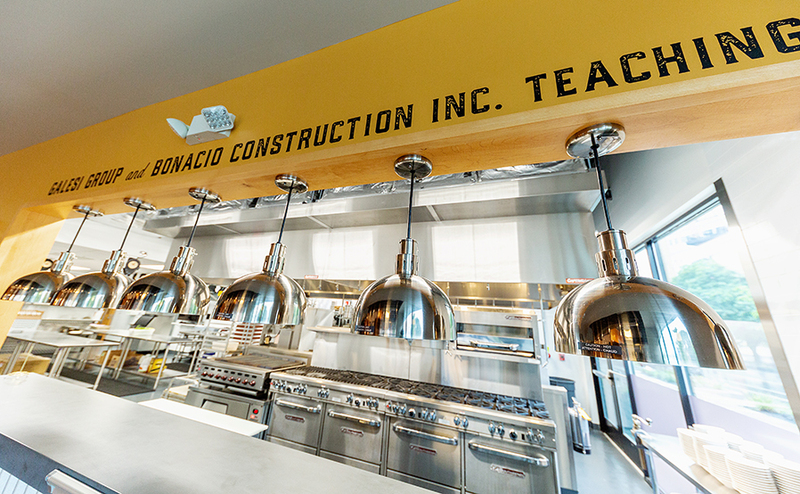 The college’s Culinary Arts program recently moved to an expanded space in downtown Glens Falls, which includes Seasoned, a state-of-the art restaurant training facility at 14 Hudson Ave. The events are expected to sell out, and advance reservations can be made online at https://adkseasoned215.brownpapertickets.com. Seasoned restaurant will open for lunch and dinner service on Wednesdays and Thursdays starting Feb. 13. SUNY Adirondack’s Culinary Arts program will serve lunch and dinner every Wednesday and Thursday from Feb. 13 to April 25 at Seasoned, the college's student-run restaurant. 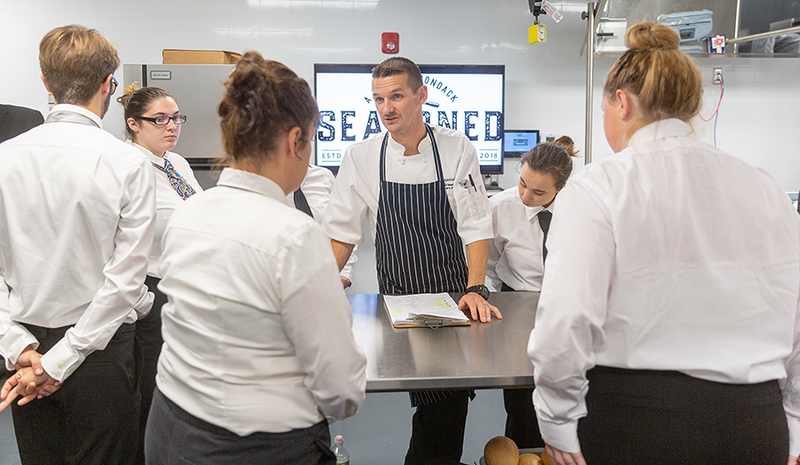 Lunches, featuring a classic modernized menu created by Chef Matthew Bolton, will be prepared and served by the college’s Basic Food Prep 2 students. The Dining Room Service class will run the front of the house operation, under consultation of Chef Megan Diehl. Lunch includes a three-course gourmet meal in a casual setting. The menu consists of an appetizer, entrée, dessert and beverages, such as soda, tea and coffee. Seatings are available at noon, 12:15 p.m., 12:30 p.m. and 12:45 p.m. Reservations are preferred. The cost of lunch is $14.95, plus tax (cash or check only). 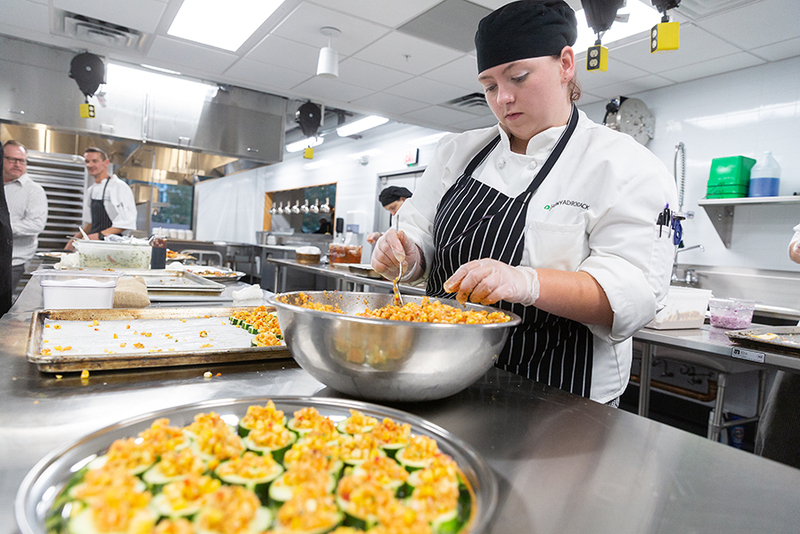 Dinners, which will feature regional themes, will be prepared by the college’s Advanced Food Prep 2 students, with the Dining Room Service class running the front of the house operation. The five-course gourmet meal in a fine dining setting will consist of an amuse, appetizer, intermezzo, entrée, dessert and beverages, such as soda, tea and coffee. Seatings are available at 5:45 p.m., 6 p.m., 6:15 p.m, 6:30 p.m, 6:45 p.m. and 7 p.m. Reservations are preferred. The cost of dinner is $24.95, plus tax (cash or check). Regional dinner themes include France on Feb. 13 and 14, British Isle on Feb. 20 and 21, Italy on Feb. 27 and 28, Spain on March 6, Mexico on March 20 and 21, Germany on March 27 and 28, African on April 3 and 4, Middle East on April 10 and 11, China on April 17 and 18 and Japan on April 24 and 25. Wine and local craft beer will be served at the cash bar during both lunch and dinner. Seasoned is at 14 Hudson Ave. in downtown Glens Falls. The restaurant will be closed on March 7, 13 and 14. Reservations for both lunch and dinner can be booked online. The Warren County Soil and Water Conservation District will work with SUNY Adirondack on a small garden project. The Warren County Soil and Water Conservation District received a $8,400 agricultural grant from the Lake Champlain Basin Program to help the district work with SUNY Adirondack on a market garden. 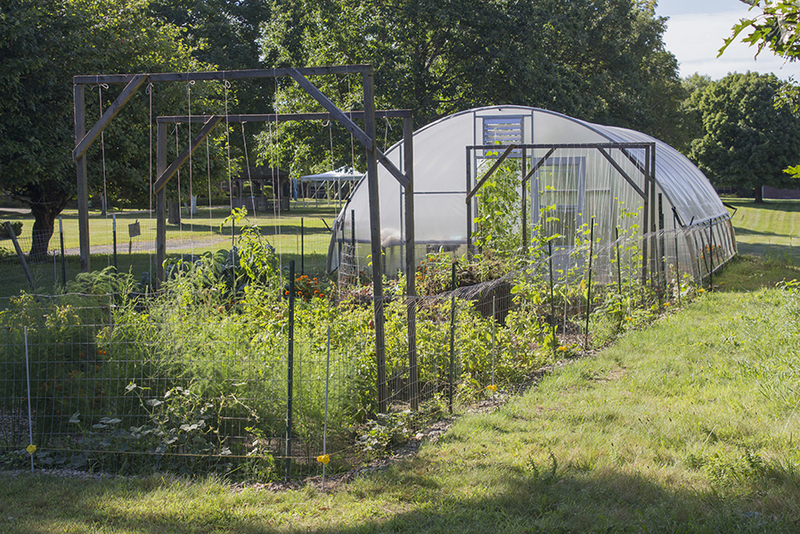 The garden is part of a soil health class and will focus on growing produce in a small area. Students will learn how to deal with weeds, how to use mulch and how to use cover crops, among other best management techniques. ‘Artists as Innovators’ includes work by Cynthia Schira, Bill McDowell and Theodore Krueger. Clarinetist Paul Green specializes in Klezmer music, a tradition of the Ashkenazi Jews of Eastern Europe that blends jazz with Jewish melody. Clarinetist Paul Green will perform Klezmer music at 6 p.m. Feb. 6 in the Visual Arts Gallery in Dearlove Hall on SUNY Adirondack’s Queensbury campus. Klezmer, a musical tradition of the Ashkenazi Jews of Eastern Europe, blends jazz with Jewish melody. Green has performed around the world as a classical clarinetist. 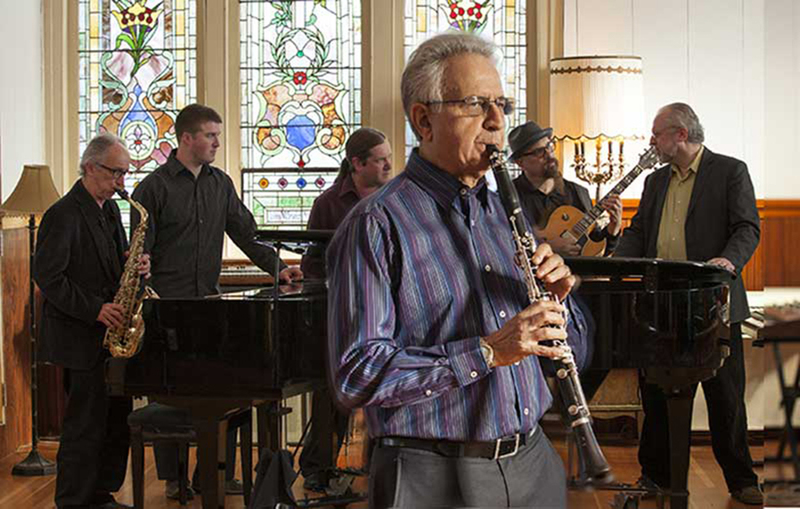 His band, Klezmer East, was founded in 2003 and tours across the East Coast. The concert is being held in conjunction with the “Text/ures of Iraq” exhibit, which runs through Feb. 7 in the campus gallery. The show features contemporary art from the collection of Oded Halahmy. The concert and exhibit are free and open to the public. Refreshments will be served during the program. For more information, contact Gallery Director Rebecca Pelchar at pelcharr@sunyacc.edu or 518.832.7738. 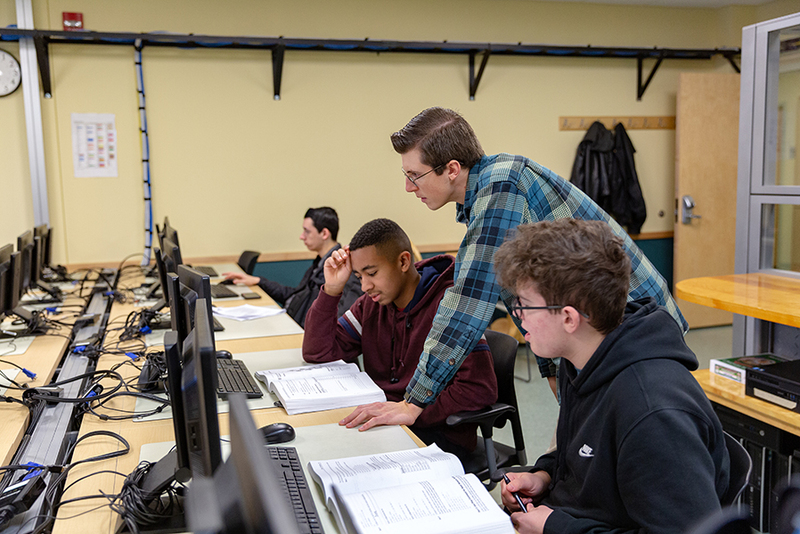 High school students gain valuable work experience and college credit in Information Technology/Computer Networking as part of the Early College Career Academy. The Early College Career Academy is currently recruiting students for the Fall semester. The program, a partnership between SUNY Adirondack and the Washington-Saratoga-Warren-Hamilton-Essex BOCES, gives high school students an opportunity to earn up to 32 college credits (depending on degree choice), acquire national or internationally recognized industry credentials, participate in work-based learning projects and industry challenges and be mentored by practicing professionals in their field of study. Two-year programs begin during the junior year of high school and include Advanced Manufacturing, Business and Entrepreneurship, Information Technology/Computer Networking and New Media. Each program was designed with local industry business partner input. As a result, students are exposed to a combination of industry theory and cutting-edge technologies that allow them to meet with success in a full-time college or work experience after they complete the program. 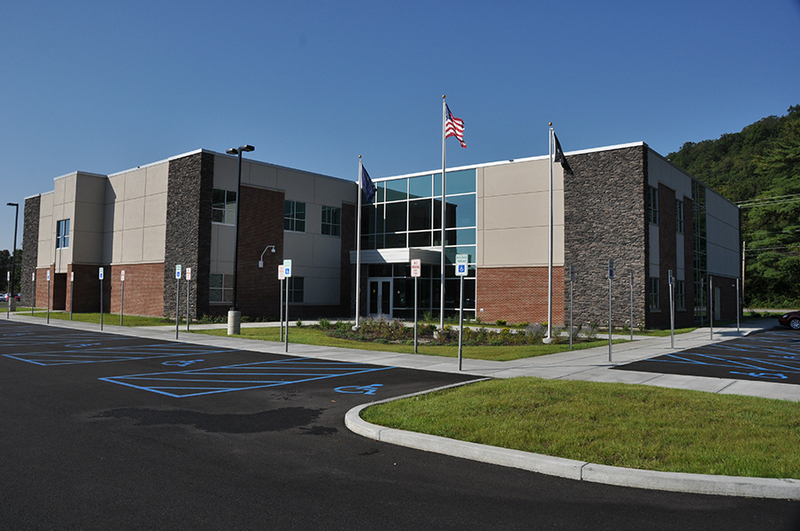 Each program has a specific set of college and BOCES courses that have been approved for the program. In addition, some of the college courses also count toward high school graduation requirements. For more information or to register a student, go to the Early College Career Academy website. 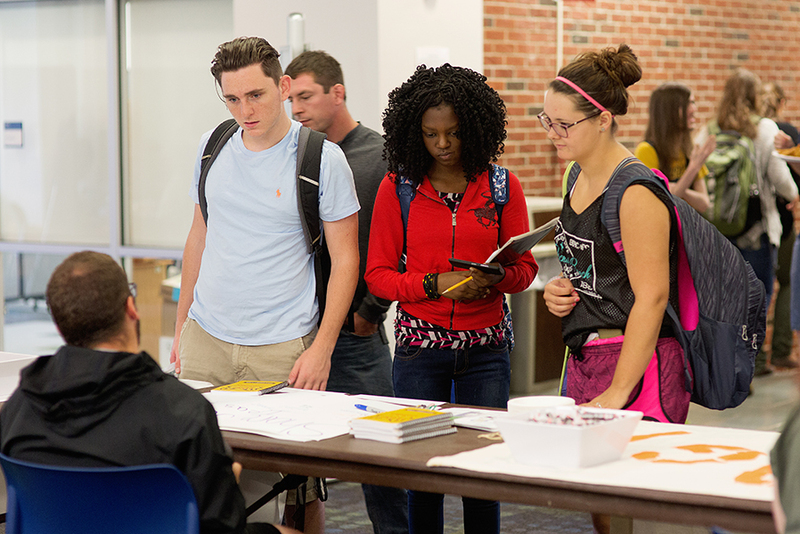 A strong community college can’t thrive or innovate on yesterday’s dollars. internships, inform our curriculum and hire our graduates. Thriving community colleges are economic drivers, large sources of local employment and beacons of hope for economic mobility. Talk to your legislators about the important role SUNY Adirondack serves in this community to encourage stabilizing funding through a funding formula redesign. Send the message to our state legislators, and share your story. NOTE: If you are a college employee, you must use your personal email, phone, or postage. Congratulations to the recent graduates of the SUNY Adirondack Nursing program, who were honored during a Jan. 4 pinning ceremony in the college Theater, followed by a reception in the Northwest Bay Conference Center. Graduate Kathleen Green delivered a speech during the ceremony stressing the importance of positivity, the value of the program’s buddy system, admiration for the many student-parents who balance a class schedule with a hectic family life and praise for the acknowledgement of diverse cultures incorporated into the curriculum. Four SUNY Adirondack departments — Financial Aid, Business Central, Computer Science and Public Safety — achieved Bronze or Silver status during December and January for commitment to the college’s 4DX project to increase graduation rates. Matthew Bolton, SUNY Adirondack instructor of Culinary Arts, has been included in the Best Chefs America directory, which includes biographies of the country’s top culinary professionals based on more than 5,000 one-on-one interviews with American chefs. For more information, go to www.bestchefsamerica.com. The college will hold its Spring Club Drive from noon to 2 p.m. Feb. 4 in the Student Center on the Queensbury campus. Southern Vermont College will be on the SUNY Adirondack campus to answer prospective transfer student questions from 10 a.m. to 1 p.m. Feb. 6 in the Student Center. The college also plans campus visits on March 28 and April 18. Clarinetist Paul Green will perform Klezmer music at 6 p.m. Feb. 6 in the Visual Arts Gallery in Dearlove Hall on SUNY Adirondack’s Queensbury campus. The program is free and open to the public. The College of St. Rose will be on the SUNY Adirondack campus to answer prospective transfer student questions from 11 a.m. to 1 p.m. Feb. 11 in the lobby of the Scoville Learning Center near the library. The college also plans to visit on March 25, April 9 and April 30. 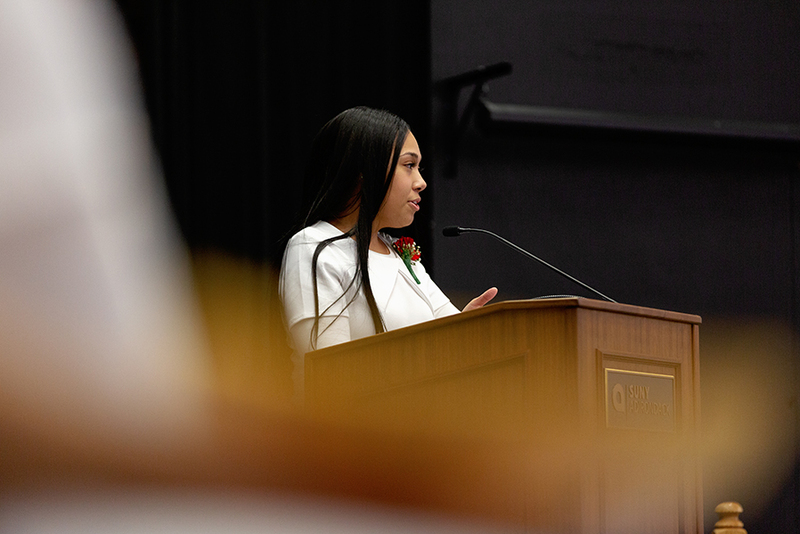 SUNY Adirondack will mark Black History Month with a one-day display of the traveling True Black History Museum on Feb. 12 on the Queensbury campus. The exhibit will be open from 8 a.m. to 1 p.m. in the Northwest Bay Conference Center in Adirondack Hall. As part of the campus stop, a representative from the museum will give a history presentation from 1 to 2 p.m. The event is free and open to the public. A Nursing Information Session will be held from 11 a.m. to noon Feb 13 in 114 Eisenhart Hall. New and returning students are encouraged to attend a session prior to applying to the Nursing program. The hour-long session outlines the necessary requirements for application to the program, and staff will be available to answer questions. To register, go to http://www.sunyacc.edu/node/426. SUNY Adirondack’s first Collaborative Cuisine dinner, a partnership with Rachel’s Spice Company, will be held at 6 p.m. Feb. 15 at Seasoned in downtown Glens Falls. Additional Collaborative Cuisine dinners include partnerships with Lake George Olive Oil Company on March 30 and Dragon Salt Works on April 12.The cost is $75 per person for each dinner, tips not included. Diners who make reservations for all three meals will save $25. The events are expected to sell out, and advance reservations can be made online at https://adkseasoned215.brownpapertickets.com. SUNY Adirondack and Cornell Cooperative Extension of Warren County will hold a “Don’t Get Ticked” workshop from 3 to 5 p.m. Feb. 22 at the Northwest Bay Conference Center on the SUNY Adirondack Campus in Queensbury. The program is free, but pre-registration is required. To register, email Dan (djc69@cornell.edu), Chris (cd98@cornell.edu) or Michele (mlb222@cornell.edu) or call 518.668.4881. SUNY Plattsburgh will be on the SUNY Adirondack campus to answer prospective transfer student questions from 9 a.m. to 4 p.m. Feb. 22 in the Student Center. The college also plans campus visits on March 25 and April 15. Doug Gruse, director of Marketing and Communications at SUNY Adirondack, will present “Swipe Up for Generation Z: How Post Millennials Are Driving Change” at 12:40 p.m. Feb. 25 in Miller Auditorium in Dearlove Hall as part of the College Lecture Series.